Asia’s manufacturing, industry and services sectors are growing – driving increased energy demand – and emissions. National governments and major companies in Asia have ambitious, near-term clean energy targets, but both face significant challenges to achieve their goals. 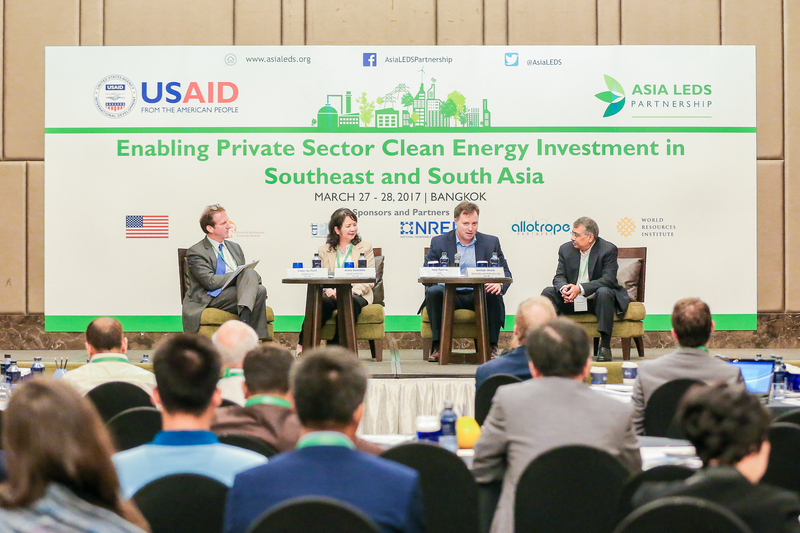 To make clean energy available at scale, WRI engages with electricity sector stakeholders in key Asian markets - China, Indonesia, and Vietnam. We engage with credit-worthy renewable energy purchasers to create a demand signal for clean energy. WRI’s public-private partnership model leads to large-scale deals for financing solar, energy efficiency upgrades and other clean energy solutions so countries can meet their established renewable energy goals. We develop a robust pipeline of “investment ready” clean energy projects and market-appropriate financial products. Our work drives the deployment of tens of thousands of megawatts of clean energy and billions in public and private finance. We support effective policy and regulatory structures for clean energy investment. To learn more, contact Alex Perera, Miao Hong, or Almo Pradana.